Google Assistant, Siri, Alexa and Cortana are the best-known personal/virtual assistants with the presence on the devices of each of their platforms. Now, according to the latest reports, the virtual assistant of the tech giant Microsoft, of course, Cortana comes to all Android Microsoft Launcher users in the latest update. Google Assistant (Google), Siri (Apple), Alexa (Amazon) and Cortana (Microsoft) are the best-known personal/virtual assistants with the presence on the devices of each of their platforms. Although there are also exceptions such as Alexa, which is available on Android, iOS and soon will also within the same Windows 10 as a stand-alone application, which is a bit disconcerting as we hoped that the announced partnership between Microsoft and Amazon was in a single app. Cortana also has a presence on iOS and Android, although in the latter case, only in a few territories. A few weeks ago, the information leaked that possibly the assistant would be integrated into Microsoft Launcher, and finally confirmed, in fact, is now available. It was at the end of 2017 when the tech giant Microsoft showed the evolution of Arrow Launcher, its famous launcher for Android, to Microsoft Launcher, with a new interface and options, but maintaining the excellent quality of always. Although the launcher is quite good, now it becomes smarter to integrate Cortana directly into it. Now, when moving to the card section by sliding the screen to the right, we will find one with Cortana, with which we can do tasks such as calls, change the wallpaper, schedule appointments, among other functions. Now Cortana, your personal digital assistant comes with Microsoft Launcher: use Cortana to make a call, schedule meetings, change the wallpaper, continue on PC or read the latest headlines! 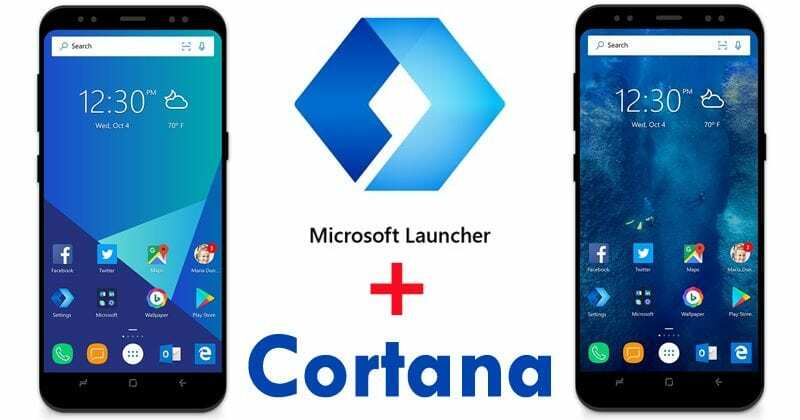 Now, with the arrival of Cortana to Microsoft Launcher, there are some doubts, especially with the fact of how it can affect the performance of the launcher, which has good reviews mainly because it is light and fast. If you want to try Microsoft Launcher Beta, you must first register for the test program in the link below.